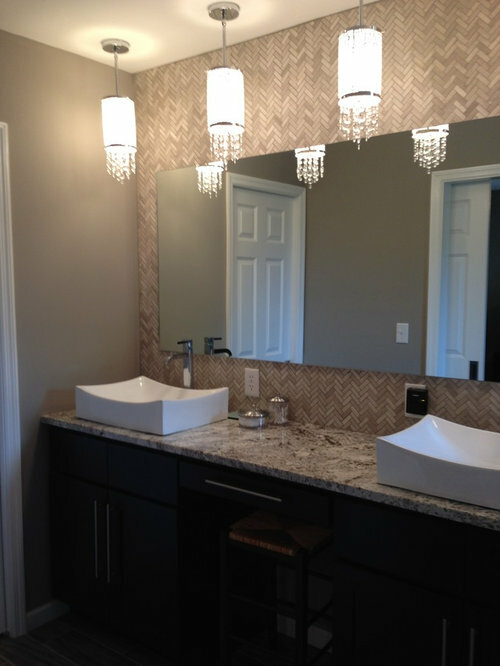 A make-up area separate the sinks in this Master bathroom. 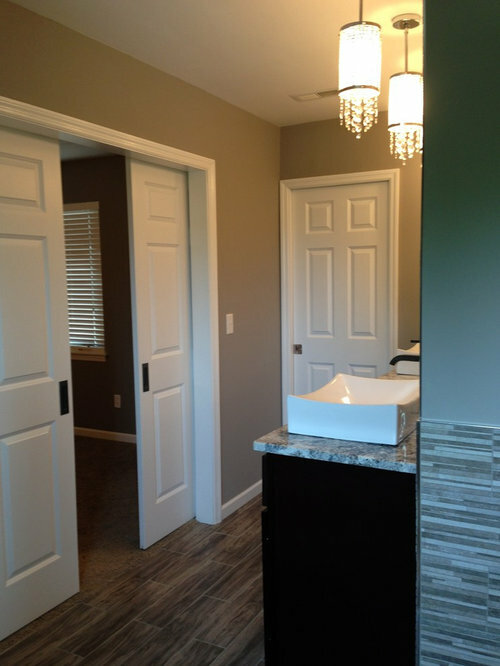 A nice balance between feminine (light fixtures) and masculine (tile and dark wood cabinets). 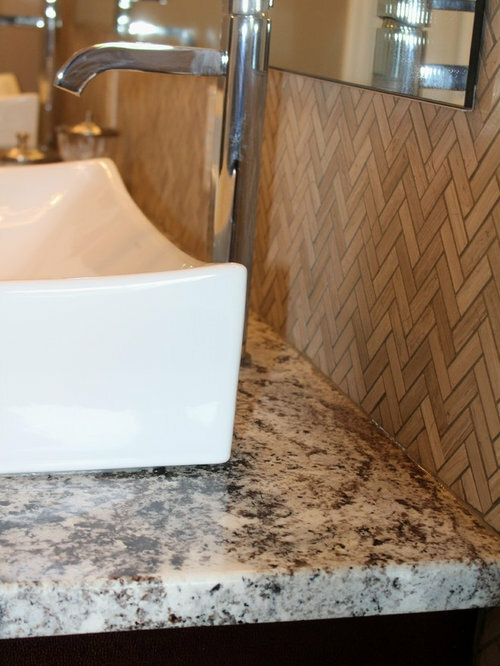 A make-up area separate the sinks in this Master bathroom. 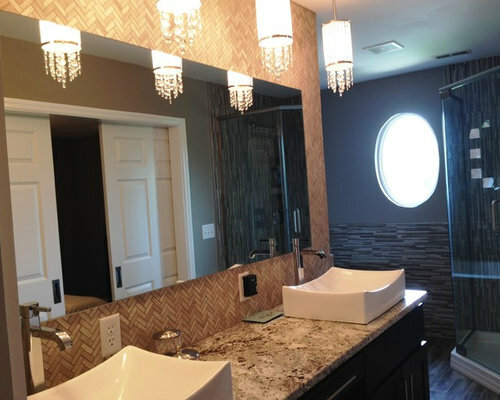 A nice balance between feminine (light fixtures) and masculine (tile and dark wood cabinets). 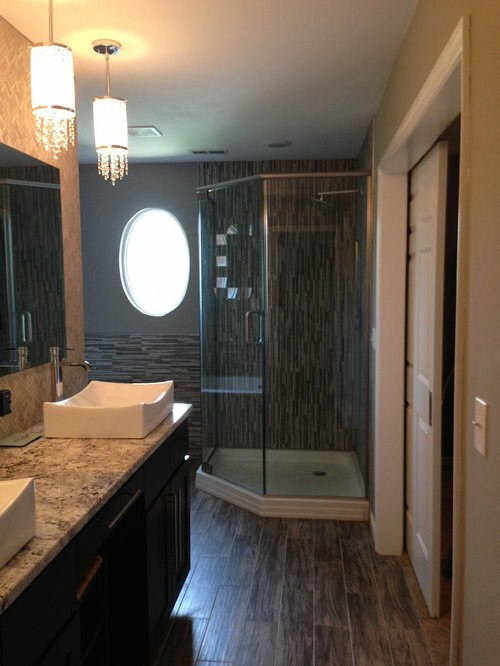 The existing oval window allows natural light to fill the tub and shower area. 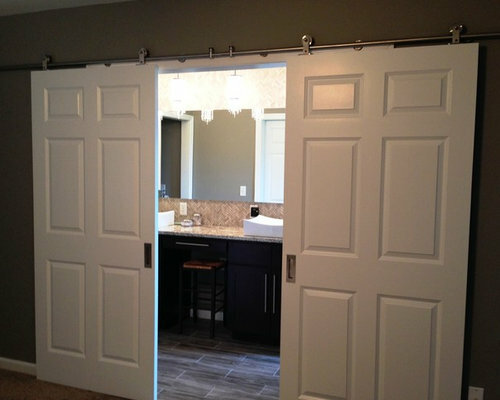 As soon as entering the Master Bathroom a large double vanity greets you with rectangular vessel sinks and chrome faucet. The light fixtures add a feminine balance to the more masculine tile. 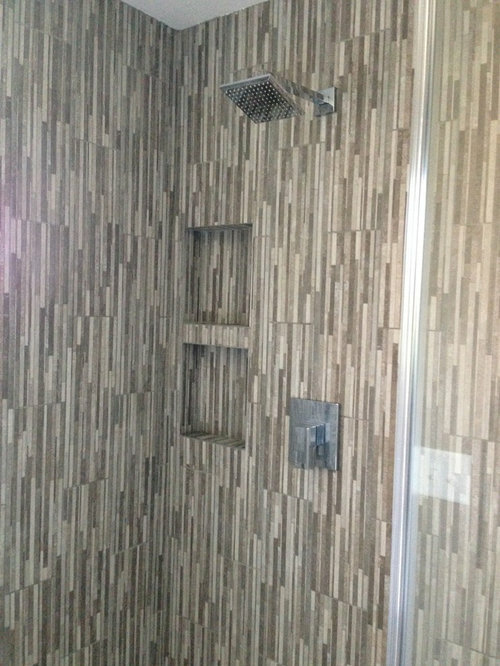 A large neo-angle shower features floor to ceiling stone mosaic tile and two niches. 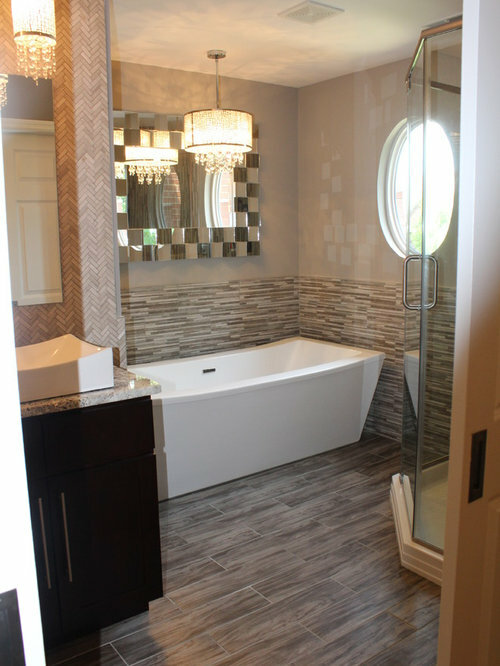 Don't be afraid to mix multiple tile patterns along with different types of tile. 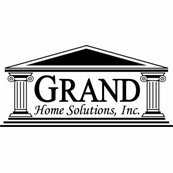 By keeping the same gray/soft beige/cream color palate the design blends together nicely. 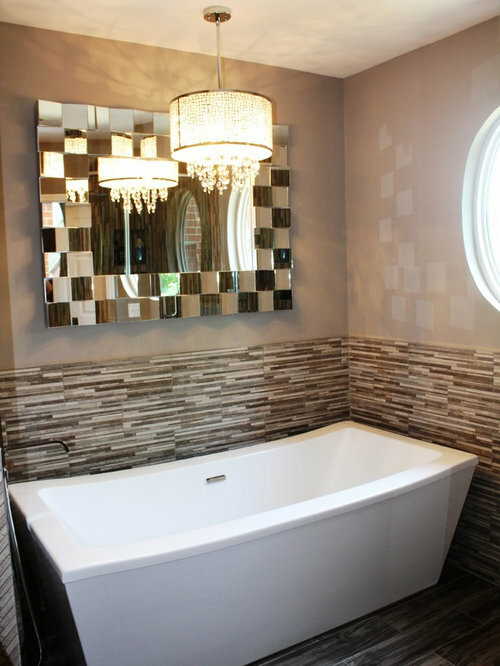 The existing oval window and mirror above the freestanding tub flood the area with natural light. 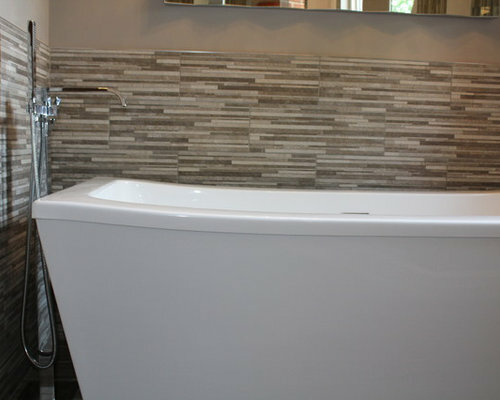 A horizontal stone mosaic wainscot surrounds the free standing tub. 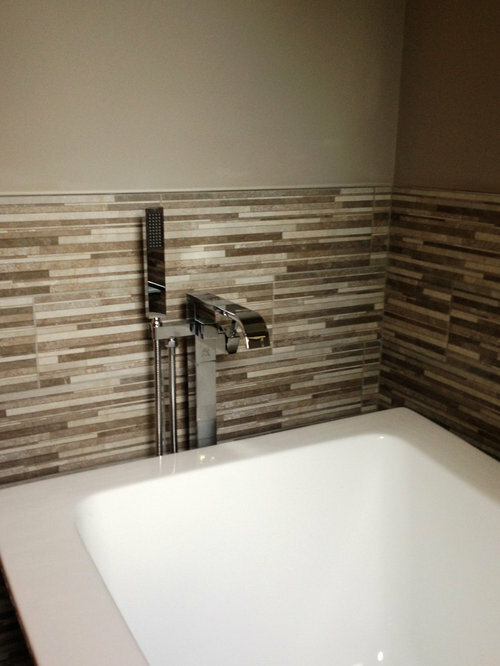 A stone mosaic wainscot surrounds the free standing tub.